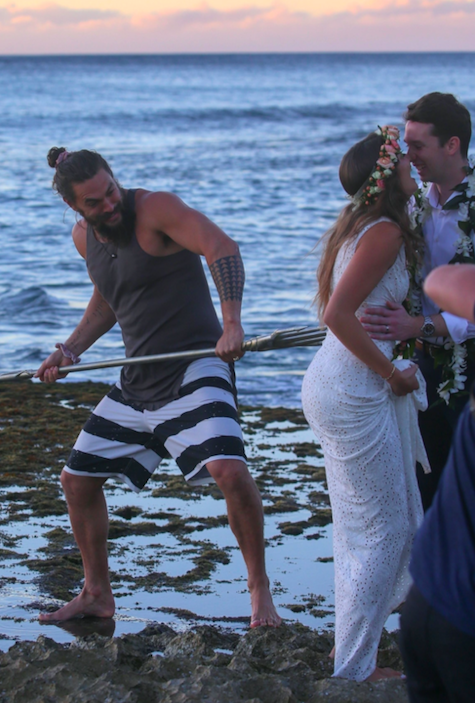 Jason Momoa photobombed a couple’s wedding pictures in Hawaii while he was playing with a trident on the beach. Jason Momoa. On a Hawaiian beach. With a trident. You can’t make this stuff up. 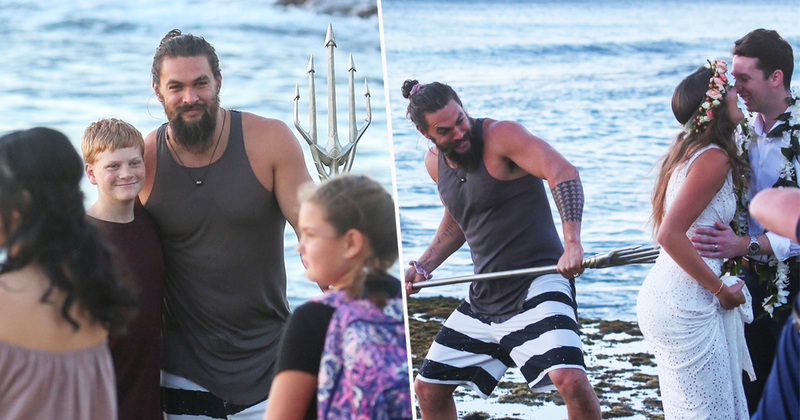 Despite having only recently had his film released, the Aquaman star apparently just can’t get enough of his powerful trident and loves hanging around near the sea with it. I think someone’s a little too into their character. According to TMZ the actor was given the trident – alright, technically it was a quindent, but let’s not get bogged down with the number of prongs – by a group of kids who approached him with the giant toy on the Hawaiian beach on Thursday (December 20), and when a couple attempted to have some romantic wedding pictures taken there the opportunity was just too good to pass up. 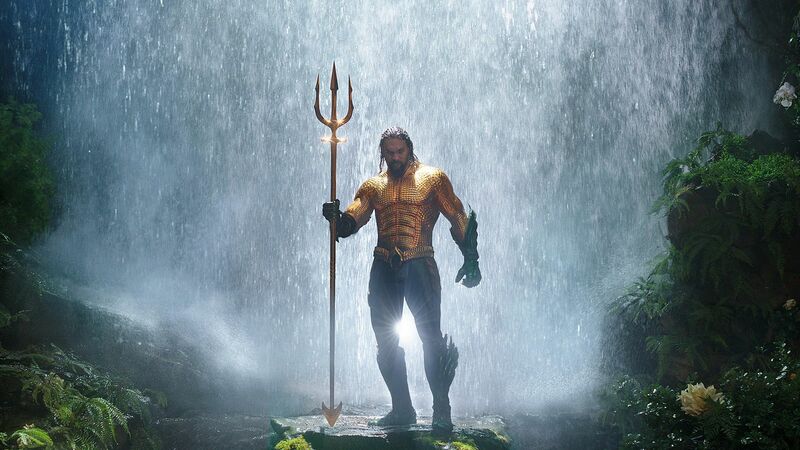 Though he wasn’t in his full Aquaman attire, the 39-year-old looked just as majestic as he sneaked up behind the couple wearing a vest and board shorts and wielded the weapon at them. While it might not have been exactly what they had in mind for their Hawaiian beach-set wedding photos, the couple didn’t seem to mind too much as they could be seen laughing while Momoa pretended to strike them. I’m assuming they actually knew he was there – they might have just been laughing at each other for a candid, loving photo. In that case, they’re certainly in for a surprise when they first flip through their professional photo album. Either way, the images would certainly make the day memorable. Well, even more memorable than a wedding day usually is. 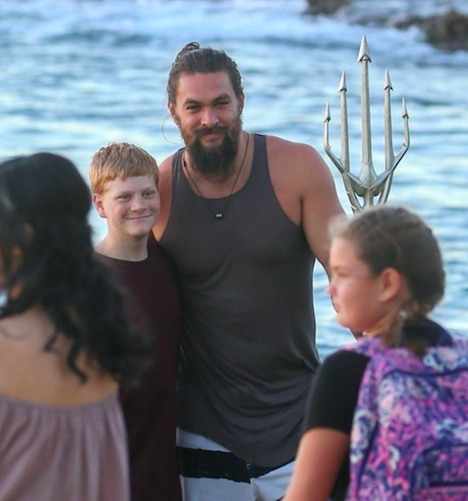 The Game of Thrones actor stuck around to pose for photos with young fans on the beach, though I’m not sure if he was allowed to keep the trident. Momoa is no stranger to trolling couples in photographs and has made a habit in the past of pretending to come between the loving pair entirely, choosing a favourite to wrap himself around while forcing the other to be a third wheel. His methods of exclusion include keeping the unwanted member of the couple at bay with his foot, pretending to punch them, turning his back to them or even signing his name right over their face. Admittedly it was probably more enjoyable for the person who got to have Aquaman himself wrap his arms around them as opposed to the person who had to watch their partner embrace the handsome man, but it’s still fun all the same! While the photos never fail to be hilarious, presumably the star felt he shouldn’t try to tear the beach couple apart on what was probably the most important day in their relationship – though I’m sure neither of them would have really minded being embraced by the DC star. If you just can’t get enough of Momoa’s antics, check out the moment he did the Haka with his kids at the Aquaman premiere!